By definition an egress window is any window that provides a safe escape route from your home in case of fire. They can also act as access point for emergency personnel. That being said, they’re an important (and required) feature of your home. And if you’re adding an egress window in your basement you’ll reap the added benefits of bringing natural light and ventilation! Increasing your home’s overall square footage – leading to added home value. There isn’t much not to like when it comes to adding an egress window. They increase the value of your home. They also create a safer environment for everyone that lives under your roof. And, due to size requirements, you’ll have larger windows overall. Here’s a list of reasons why egress windows should be on top your to-do list this summer. Safety — According to the U.S. Fire Administration, “4,000 Americans die each year in fires, and over 20,000 are injured,” many of which could be avoided with proper escape plans and routes. An egress window in your basement drastically increases the chances of safe escape in the event of a major house fire and provides entry points into your home for emergency personnel. Added Comfort — An egress window in a basement dramatically brightens an otherwise dark, dingy room.” This isn’t surprising considering that most building codes require egress windows to provide “a clear opening of at least 5.7 square feet.” A window of that size is big enough to provide a wealth of natural ventilation to the stuffiest basement, as well. Design — You don’t have to line basement egress window wells with ugly corrugated tin. If budget isn’t an issue, you can build with materials like wood, stone, or brick. Or you can purchase composite window well liners that mimic natural materials, making for basement egress windows that are practical, cost-effective, attractive, and easy to install. You can even “landscape” with small planting beds to add a little color and life to this traditionally drab space. Minus budgetary concerns, there really isn’t a reason not to install egress windows. Even then, the payoff from an investment/return standpoint is so substantial that most budget-based arguments fall apart pretty quickly. About the only “downside” we see is the need to install egress windows with local building codes in mind. But, Toledo Basement Repair will make sure the installation of your basement egress windows is done right. Know Local Building Codes — Most building codes require a 5.7 square foot opening, and a window that is no more than 44″ off the floor. But keep in mind that codes vary from place to place, so be sure that you and your contractor know what the specific requirements are for your municipality. If the building inspector finds that your egress window comes up short in any way, it’s back to the drawing board. Moisture and Basement Egress Windows — Moisture problems can be problem in basement window applications, especially if your basement has a history of moisture-related issues. To avoid them, make sure your window well is dug to the proper depth below the window, and take other preventative measures, such as installing basement drainage systems and making sure your gutter system drains run off away from your home. Inconvenience — Installing a basement egress window is a major project anyway you cut it. Be prepared to put up with the inconveniences that are unavoidable with a project of this scale. Costs of these installations can vary depending on a number of factors, including your choice of windows. Also, the number of windows you install and your window well design. Above-grade egress windows shouldn’t cost more than any other window installation, in the $500 to $1,000 range for energy-efficient, multiple-paned windows. For basement egress windows, however, you should expect to pay more. The installation of a single, no-frills basement egress window usually runs in the $2,000 to $3,000 ran. While more elaborate window well designs and top-of-the-line windows can raise the price to as much as double those figures. It’s not cheap, but considering the peace of mind an egress window provides, it’s safe to say that installing one of these windows is money well-spent for any homeowner. Learn more about our Egress Solutions here. 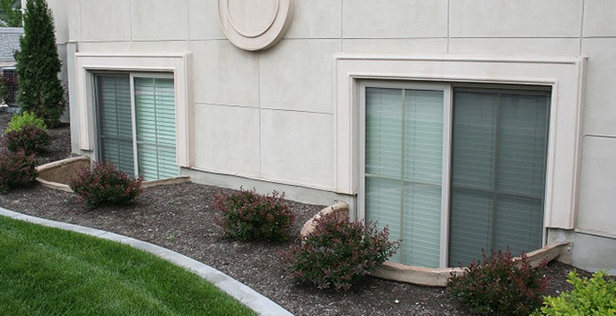 Contact Toledo Basement Repair for a FREE estimate on your new Egress Windows TODAY! There are larger doors for easier ingress and egress, a 23-degree slanted rear bench for greater comfort, more rear legroom and a host of creature comforts such as the first-in-class dedicated rear air vents and even an electrically operated rear cab window.